Allow guests to self-register and/or purchase tickets online to your multi-date event. 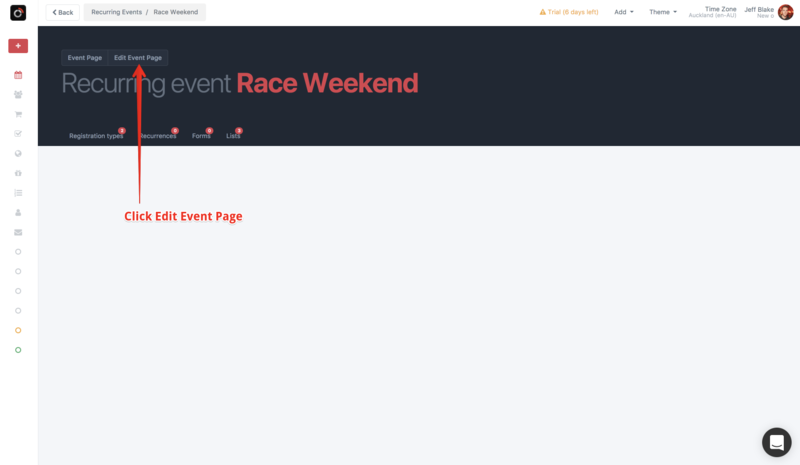 Multi-event order page: Perfect for Weekend festivals, conferences, races, etc. Calendar or "choose a date" event page: Perfect for recurring classes, shows, etc. 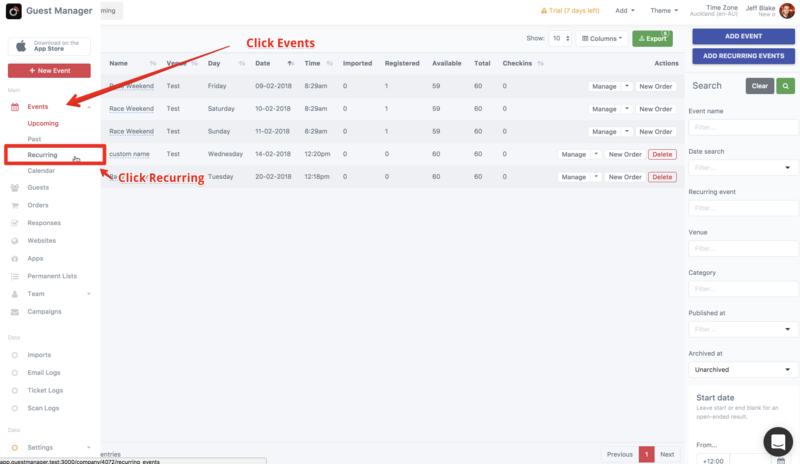 Click on "Events" and then "Recurring". 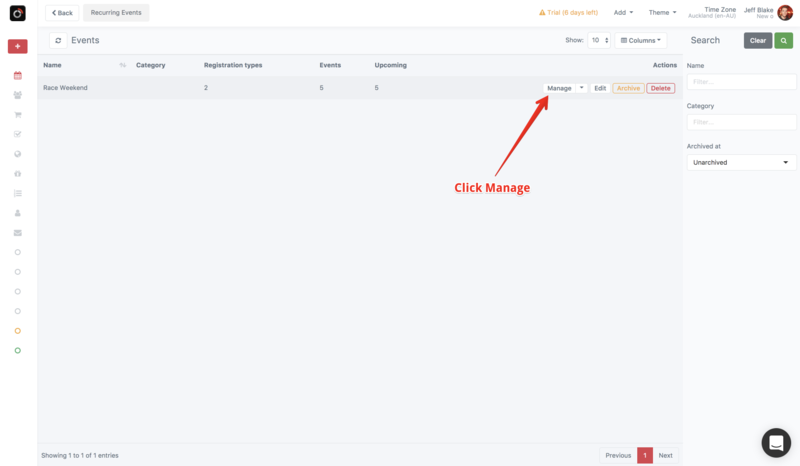 From the list, find your recurring event and click "Manage". 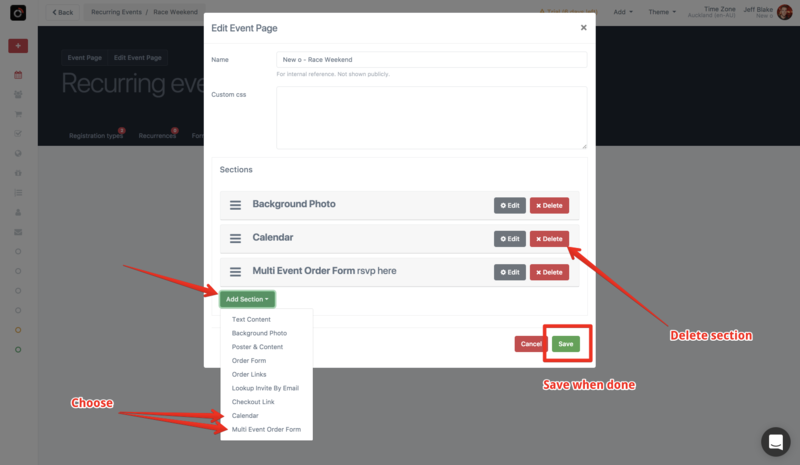 Multi day order page: I.e., a single order form that lists all the available tickets for each day/event, grouped by event.Remove the Calendar sectionAdd a new section: ""Multi Event Order Form"
When you are finished customizing, click Save. The button next to "Edit Event Page" in Step 3 will open the public event page. You can share this link with guests.